● WBShop offers a daily sale through the “What is the SECRET SALE of the day?” All you have to do is to click the image and you will be taken to the page of the item on sale. ● The site gives volume discounts when you purchase 15 items and above. However, the discount depends on the items you’ve purchased, so it is better to contact their hotline first for your requirements. Bulk orders for re-sale do not qualify for volume discounts. ● Discounted shipping is available for selected items. Free shipping is offered if you order DVDs or Blu-Ray discs. 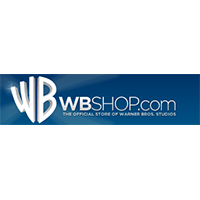 WB shop is the official site for Warner Brother's entertainment. Visitors can add their email at the home page via a pop up to get notifications about sales and promotions. Visitors can shop for licensed apparel, movies and other Warner Brother's theme items. There are tabs at the top of the home page that will take the visitor to specific inventory like toys and games or sale items. There is free shipping available on select items. A toll free number is available to reach customer care if answers cannot be found in the “help” section. Other navigation tools like pictures of products are available on the home page as well. For most up to date offers check out WB Shop on Facebook and Twitter or contact WB Shop Support for any questions.